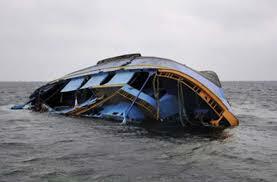 Nineteen drown in Kwara boat mishap – Royal Times of Nigeria. 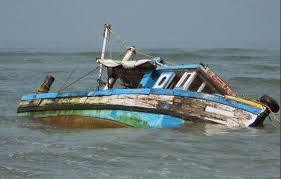 No fewer than nineteen children have been reportedly drowned in a boat mishap on Saturday in Lafiagi, Edu Local Government Area of Kwara. Report gathered that the boat was conveying the victims across River Niger for a programme at a traditional wedding ceremony in a community in Niger. The boat, conveying about 22 people mostly children, capsized while crossing the river. A source said that while two of the passengers were rescued, the 19 others drowned and died. According to him, all effort to rescue other passengers proved abortive. Meanwhile, Alhaji Sulyman Aliyu, the Secretary of the Lafiagi Traditional Council, has confirmed the incident. Aliyu also confirmed that four corpses were recovered on Saturday and that efforts to remove others would continue today. The Public Relations Officer of the Kwara Police Command, DSP Ajayi Okasanmi, also confirmed the incident. He told newsmen that the officers of the force and other security agencies had joined the local government council to recover the corpses.